There is something magical about a beach wedding. The salty air and the open skies; the soft warm breeze, the sand, and the sun. Do you dream of a romantic wedding at sea? Someplace picturesque and exotic; maybe a place with deep blue water, white fluffy clouds, and sandy beaches? If so, then Punta Cana is the place for you. The Dominican is a dream destination wedding location. Here you will find the perfect backdrop for your gorgeous wedding photos. Photos that would make any romantic (or cynic) swoon. 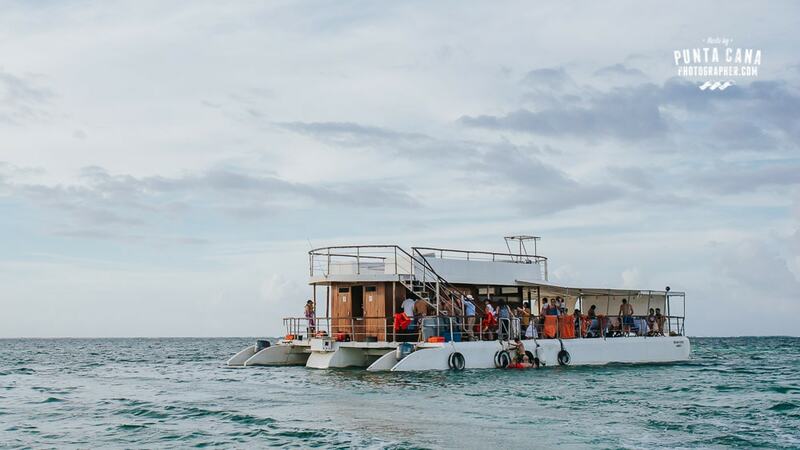 If I have convinced you to get married here, and I think I have, let me tell about another wonderful thing about Punta Cana: La Barcaza Wedding Boat. What is La Barcaza all about? La Barcaza Wedding Boat is, as the name suggests, a boat where you can have your wedding. With a motto that states, “Life is made of moments”, it is easy to see why this company is so successful (it received five stars from the Wedding Wire Couple’s Choice Awards in 2015). At this wedding venue, you will find quality and customer care are top priority. This company has great reviews on their customer service. Not only are they pleasant in person, but they are tremendously helpful over the phone and through email. They will help you plan your wedding step by step. As many brides living abroad and planning from far, you probably are nervous because you cannot be here to overlook the process, but trust me you have nothing to worry about. These guys will create the wedding of your dreams! And once you get here, you will get to meet the staff, every last one of them committed to make your day as special as it can possibly be. What’s the Wedding Boat like? Now that I have shared how fantastic the crew is, I want to tell you more about the boat itself. 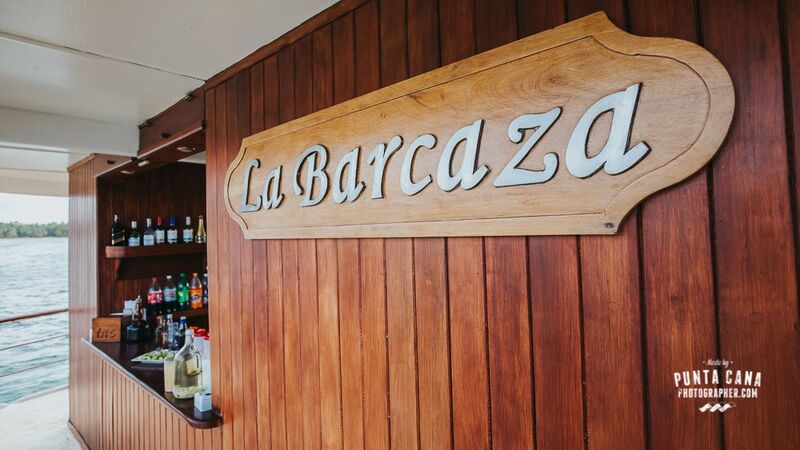 One of my favorite things about the La Barcaza is that the boat is two stories. The main dancing and eating area are on the lower level, as well as the restroom and kitchen. This is likely where you will host your main event as most brides choose, because it is covered (allowing more shade) and it is also the more spacious level. The top level is the “chill-out” area. Here you can stretch out, enjoy the sunshine, and an appreciate the unobstructed, three hundred and sixty-degree view of your surroundings. Another great thing about this Wedding Boat is that it can hold one hundred passengers. This adds a more intimate feeling to your wedding – as if the seaside seclusion weren’t enough. Allowing up to one hundred passengers gives you an opportunity to invite your close relatives and friends, whilst avoiding suffocating the event with a crowd of people. When it comes to choosing the location for your ceremony, you have two options. It can be either on the boat or on a private beach next to the natural pools. The second option is the most popular one since it allows you to have a beautiful beach ceremony and enjoy the rest of the events on board. Everything will be set up for you on the lovely private beach. Before you get there, your guests will be transported from the boat to shore, as well as your groom. Most brides get a separate boat, and arrive just before the ceremony to get the show started. You do have the option to go with everybody else if you have a first look with your groom before hopping onto the main boat. You are probably thinking, where will we have our first look? Right on the departure point, at the beautiful Jellyfish restaurant. Jellyfish has it’s own beach that can offer many beautiful locations for doing a first look or a pre-wedding session. Doing a first look in the hotel is also an option if you don’t want to take separate taxis to the restaurant. What is the best time to celebrate my wedding? Without a doubt, the best time to hold the ceremony is during or just before the sunset. Not only the light is amazing for photos, also your guests and you won’t melt in the sun, and an important fact, you will have the place for yourselves. Because the natural pools in front of the set up for the ceremony are such a popular location for other party boats, until 4 or 4:30 pm the place is crowded and the music from these boats is loud. This is something that your coordinator will suggest, but make sure that you mention it before you set the date and time. Your guests will be picked up from the resort around one hour before the ceremony begins, giving enough time for everybody to arrive to the location. After you have said your I do’s, you will have plenty of sunlight left to have your session as newlyweds, besides all the fun photos with relatives and friends that came all the way to the Caribbean to witness your special day. You will be able to have photos taken on the beach and on the boat before the sun sets and the party starts! 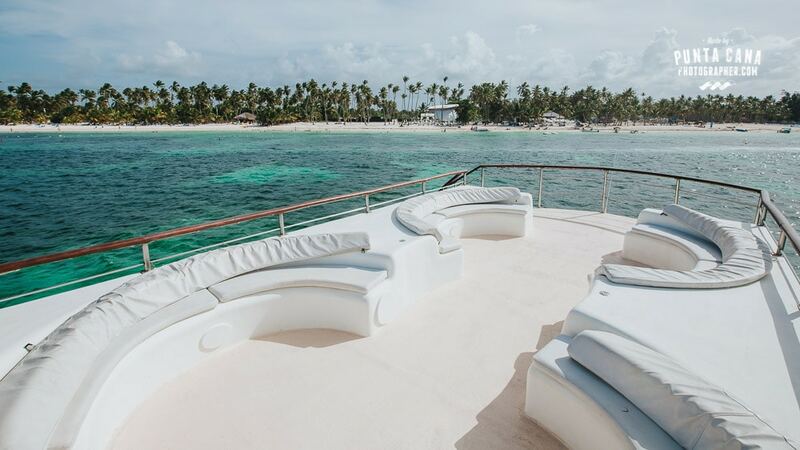 La Barcaza specializes in weddings, wedding rehearsals and other special events, but they also offer romantic evening getaway cruises that tour the beaches of the Dominican Republic. They offer fun packages such as the National Open Bar, the International Open Bar, the Dominican Snack, the Tropical Snack, the Grill, the Mixed Grill, and the VIP package! There are so many wonderful options to choose from that even if you decide to get married elsewhere you can hire them for another event during the week. Food, drinks, and a whole lot of fun! Their meals are delightful and gourmet. Some online reviews state that their food is better than food offered at the all-inclusive resorts, some even state that it was the best food they had in the entire vacation! You can discuss the menu with your wedding coordinator, and don’t worry if you or any of your guests have any special requirements because they will make it happen. Another thing to add, they have an open bar which has received stellar reviews as well. Choosing La Barcaza as your wedding venue will definitely be a unique experience. 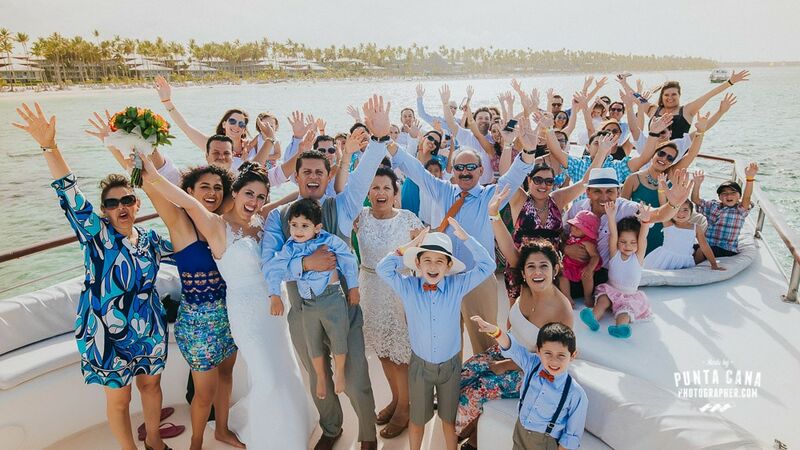 How many brides can say that they were married on a boat in picturesque Punta Cana? 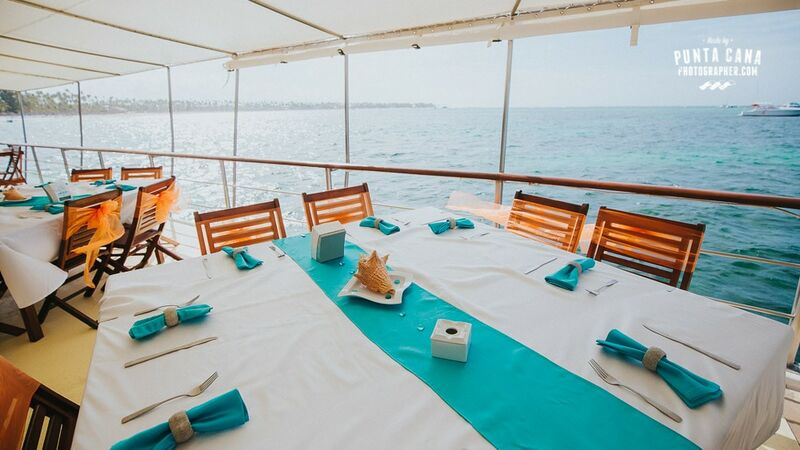 If you are looking for a little more entertainment after the wedding, know that La Barcaza Boat not only offers itself as a wedding venue, but it also offers private cruises. These short cruises take you on a delightful ride through the Caribbean Sea and gives you access to some of the loveliest beaches that the DR has to offer. As if all this weren’t reason enough to get married in the Dominican Republic, it is also an excellent honeymoon destination. After the wedding you wouldn’t have to travel far, if at all, to experience an equally romantic beach getaway. 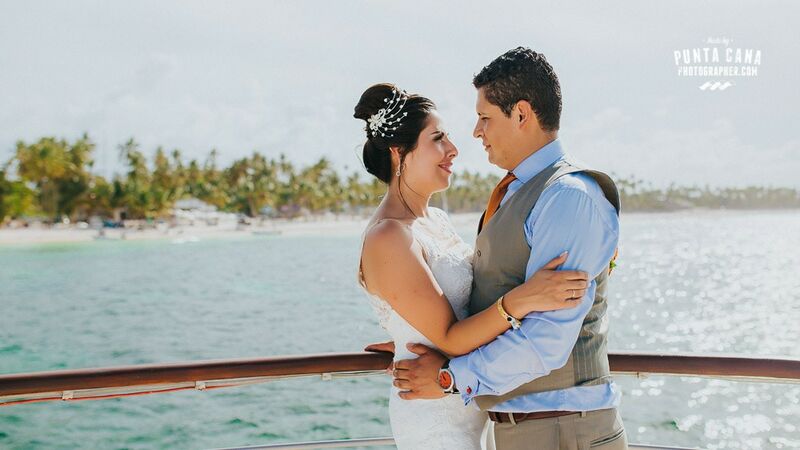 Punta Cana offers the best in the way of destination weddings for you and your guests to enjoy. All in all, it is one of the best options for your destination wedding, isn’t it?